The countdown to DC Universe is down to weeks. We learned that and more in yesterday's inaugural DC Daily live stream event, which you can watch above. In celebration of Batman Day on September 15, the first-of-its kind digital subscription service will be available to fans across the U.S. The DC Daily event also featured the debut date announcement for Titans, the first of the service's exclusive original series. Titans' twelve-episode first season will premiere October 12, and Warner Bros. Television will host a world premiere screening October 3, in conjunction with New York Comic Con. DC Daily, the new daily news show focused on all things DC, will be available on the DC Universe service, with select segments also available for viewing at no cost on additional online channels. In yesterday's Kevin Smith-hosted live stream, he unveiled the inaugural slate of talent and experts that will host, share news and provide commentary for fans including John Barrowman, Samm Levine and Harley Quinn Smith, among others. Even better, in celebration of the countdown to launch, DC Universe is offering The Ultimate Batman Studio Tour Sweepstakes. All fans who pre-order until Wednesday, September 12 (5:59 a.m. PT) will be automatically entered for a chance to win. 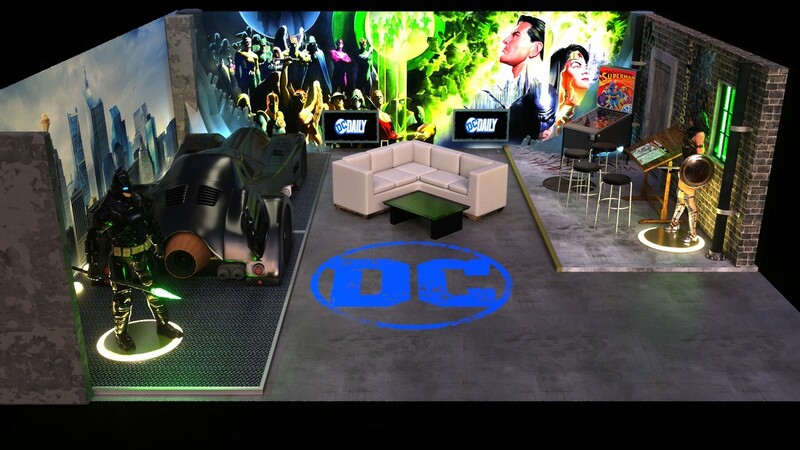 DC Universe is giving one lucky member the chance to win a one-of-a-kind experience for the Ultimate Batman Fan. The winner gets to visit Warner Bros., take the WB Studio Tour Hollywood, visit DC headquarters, ride in the Batmobile, walk away with an unbelievable prize package and more. All fans who have already pre-ordered are also automatically entered for a chance to win. Learn all about what you'll be watching, reading and winning in the official press release.